Although many thousands of Tibetans have crossed into Nepal over the years in order to flee Chinese oppression, the number making the dangerous trip to India has dramatically reduced in recent years. 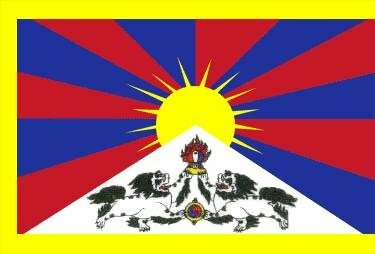 The increased Chinese social and military crackdown on the Tibetan population, combined with a frequently unhelpful Nepalese government, has prevented more people from escaping, which could in turn have consequences for sustaining global attention and the reporting of systemic violations. Kunga Dolma waited years to escape the repressive life of her remote Tibetan village, and one day in July  it was time. The soft-spoken 24-year-old paid a smuggler about $800 to guide her over the Himalayas to what she hoped would be freedom and a better life. Her lace-up shoes were torn to shreds in the snowy passage. But if she was cold, she doesn’t remember. She was too terrified of being caught and beaten by Chinese security forces on the border. Once, more than 2,000 Tibetans a year made the dangerous crossing from China through Nepal to Dharmsala, the small town in India that is headquarters of the Tibetan government in exile and its spiritual leader, the Dalai Lama. But that number has fallen dramatically in the past six years, with only about 100 arriving so far this year. Refugees have fled the high Himalayan plateau since the Chinese took control more than a half-century ago, and the 3 million or so who remained have endured forcible relocations, restrictions on Buddhist worship and, in some cases, torture and arrest. Those who have escaped China describe increased restrictions on movement, more surveillance and a rising climate of fear. Declining numbers of refugees are likely to have a profound effect on the Tibetan diaspora — with an estimated 120,000 living in India alone — who have relied on survivors and their first-hand accounts to help raise support for their cause in the West, experts say. International attention to the issue from the Obama administration and other institutions has diminished, according to Rep. Frank R. Wolf (R.-Va.), who has advocated for Tibetans for years on Capitol Hill. Meanwhile, he said, China’s alleged abuses of ethnic and religious minorities have continued. Now the Chinese have tightened the border further as part of a counterterrorism campaign launched this year in the wake of two violent terrorist attacks by extremist Uighurs, a Muslim minority, advocates say. The International Campaign for Tibet, a Washington advocacy group, says the Chinese have conducted two large-scale military drills in Tibet since May  to prepare for “combat,” as well as training sessions for police stationed inside Buddhist monasteries. The Tibetan Reception Center, a $1.4 million campus of dorm rooms, a medical clinic and landscaped gardens, sits on a rutted road in Dharmsala, a backpackers’ haven in the Himalayan foothills in northern India. The town has attracted thousands of Tibetans since the Dalai Lama arrived in 1959 after fleeing Tibet during an anti-communist uprising. The center was built to house 500 refugees when it was opened in 2011, its cheerful green and yellow buildings largely paid for by American taxpayers. These days, it is mostly empty. “It’s more or less like a ghost town,” said Tenzin Jigdal, an activist with the International Tibet Network. The number of refugees crossing the border first began declining in 2008, when Tibet was engulfed in protests in the run-up to the Beijing Olympics. Movement later grew more difficult after Nepal’s government began turning some back from the border to appease the Chinese, according to allegations in a report released this year by Human Rights Watch, which the Nepalese have denied. Typically, refugees from China end up at a transit center run by the United Nations High Commissioner for Refugees in Kathmandu before making their way to India. Jigme Gyatso, a Tibetan monk who arrived in Dharmsala in May, was first arrested by Chinese authorities in 2008 for his role in making a documentary about Tibet. He was beaten and tortured, then in and out of custody for years, escaping after his last arrest in 2012. He spent the next 18 months living in the hills on the run from police, begging for food from nomads, before making his way across the mountains on foot and motorcycle this spring. More than 130 Tibetans have set themselves on fire in Tibet in recent years to protest Beijing’s rule and to demand the Dalai Lama’s return. The Chinese have continued to increase their control over the Tibetan region, opening a new railway line last month that will give them greater access to Tibet’s rich mineral reserves. Foreign visitors and travel by Tibetans are still restricted. Meanwhile, the Dalai Lama recently said he was in informal talks with the Chinese to return home on a pilgrimage. The Chinese quickly debunked those comments, with a Foreign Ministry spokesman saying the Dalai Lama should give up “splitting China” before his future can be resolved, according to Agence France-Presse, the French news agency. The Dalai Lama has long advocated greater autonomy for the Tibetan region. Hard-liners continue to push for complete independence, which is anathema to Beijing. Undersecretary of State Sarah Sewall, who also serves as special coordinator for Tibetan issues, plans to travel to India and Nepal next month and plans to meet with Tibetans in exile. On that day in July, Dolma prayed at the temple, ate dinner with her extended family and said goodbye to her parents on the doorstep. She knew she would never see them again. Though she was sad, she was ready to go. When she was growing up, the local school taught classes in Mandarin, not Tibetan, so she received only rudimentary schooling at home. Her family, nomadic herders, could not travel from village to village without permission. They dared not speak the Dalai Lama’s name — even when they were alone in their tent of yak hide. They assumed their cellphone calls were monitored. She carried no identifying papers in case she was caught. The only thing she took was a rosary, with four carved beads made from rubies, that had belonged to her mother. “I miss her sometimes,” she said on a recent day, playing with the rosary at a table in a nearly empty hall at the reception center, after a simple lunch of Indian dal and tingmo, steamed Tibetan bread. A new life awaits, including classes at a small school nearby. She met the Dalai Lama, she said, and she’s still wondering if it was a dream.